When the USDA Checks Wild Waterfowl, is it a Bad Sign for Hunters? Question: On the last day of hunting at Modesto Reservoir we had a lady from the United States Department of Agriculture that swabbed our ducks and geese for parasites, etc. I asked her why she was doing this and she smiled at me. So then I said, “Is it that Foster Farms has been having problems with viruses?” She just smiled again and nodded her head. “In response to the recent detections of avian influenza in Washington in December 2014, the United States Department of Agriculture and United States Geological Survey, in coordination with state wildlife agencies, initiated active surveillance through swab sampling of hunter-harvested waterfowl in several states, including California. 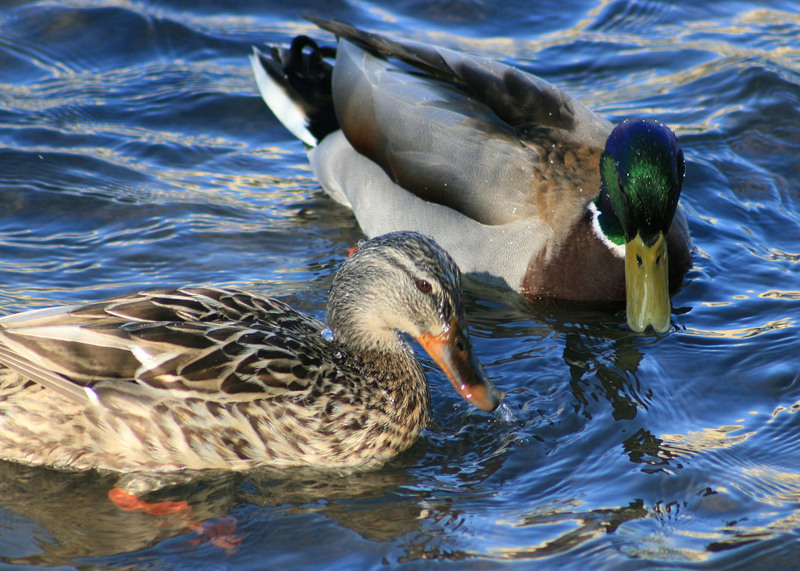 Avian influenza viruses naturally circulate in wild bird populations, primarily in species that are associated with an aquatic habitat. Therefore, monitoring wild waterfowl for avian influenza activity is one of the most efficient surveillance tools for determining what viruses are circulating worldwide. Between 2006 and 2011, CDFW participated in similar surveillance efforts to aid in the detection of avian influenza viruses. As with the previous surveillance, state and federal wildlife agencies do not foresee any impacts to wild waterfowl populations or to hunting. Managing multiple fishing rods on the Sacramento River? Answer: Yes, provided the anglers are fishing in a location where the second rod validation is operative. Legally, since each fisherman is only authorized to fish with up to two fishing poles, the fisherman trying to bring in the other three poles would have to first secure one of his fishing rods so that it is no longer being used to fish. That would leave two fishing poles to reel in, which would be within the angler’s legal authority to do. Answer: You should avoid picking up anything that is fresh but it is not illegal for someone to pick up bleached antlers. In addition, you can sell sheds that you have found but they must have been manufactured into products or handcraft items, or have been cut into blocks or units which are to be handcrafted. You cannot sell whole antlers with heads attached (Fish and Game Code, section 3039(c)). Answer: Commercially-taken sea urchin spines can be sold in jewelry, but sport-harvested marine resources may not be sold, bartered, traded, etc. This entry was posted in Deer Hunting, Fish and Game Code, Freshwater Fishing, Invertebrates, Limits, Methods Of Take, Regulations, Title 14, Uncategorized, Waterfowl, Wildlife Life/History and tagged avian influenza, Deer, diseases, fishing tackle, freshwater fishing, invertebrates, regulations, Selling animal parts, selling shellfish, shed antlers, waterfowl. Bookmark the permalink.